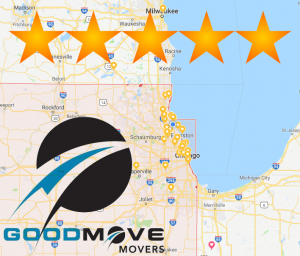 Good Move Movers is ranked among the best of Western Springs Moving Companies with an average customer quality rating of 4.9 out of 5 stars from hundreds of reviews. Their skilled and experienced staff in the Western Springs area can help you with your upcoming move. Licensed, insured, and accredited with the Better Business Bureau, If you’re planning a commercial or residential move, we’ll provide you with a free estimate before you sign any type of contract. So, if you’re moving from Lawn Avenue or 45th Street , or anywhere in 60558, make you next move, a good move. Western Springs, an affluent suburb located along the Chicago, Burlington & Quincy Railroad (now the Burlington Northern Santa Fe) between Chicago and Aurora, encompasses roughly the area between Willow Springs Road (Gilbert Avenue), Ogden Avenue, Interstate 294, and West Plainfield Road. Named for local mineral springs on the southwest side of town, Western Springs originally consisted of flat prairie land with a swamp on its western border. Around the turn of the 18th century, nomadic Potawatomi Native Americans settled in the Western Springs area. It is unclear whether they built a village, but evidence of temporary campsites has been found near Flagg Creek in Forest Hills. The natives were gone by the end of 1835, but Potawatomi artifacts may still be found buried in the Springdale neighborhood. The last Cook County campground of the Potawatomi was within what is now the Timber Trails subdivision. The first known settler in the area near Western Springs was Elijah Wentworth. By 1834, after the Black Hawk War, farmer Joseph Vial had moved from New York and built a cabin along what is now Plainfield Road, an ex-Native American trail in the south of Western Springs. This cabin served as a stagecoach station, hotel, general store, and post office for the entire area. Western Springs, IL Local Moving & Storage Good Move Movers is ranked among the best of Western Springs Moving Companies with an average customer quality rating of 4.9 out of 5 stars from hundreds of reviews. The Western Springs Good Move Moving and Storage location is proud of our 5 star reviews and Awards for the past 3 years. Our availability to customers in Western Springs, IL has been well received; we thank our customers for their positive comments and referrals. Are you looking for a local moving company in Western Springs or DuPage County Illinois?? If you are in Western Springs or any of the other towns in Dupage, Lake, or Cook counties, schedule a meeting with or call us today! The past five years has seen a steady growth in real estate and of moving companies in Western Springs, IL; we are rated highly and voted as one of the best moving and storage companies in 2015, 2016, and 2017!